The Suckfizzle Cabernet Sauvignon is a single vineyard wine and as such expresses the specific vineyard site in each season. Over time and vintages, the wines become an archive, or a chronology of the events of the seasons, and capture the uniqueness of the site, allowing all to witness the development of the wine’s style and personality. 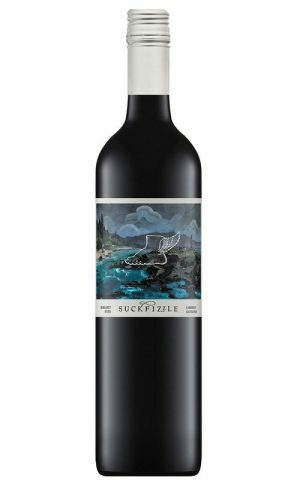 From Augusta in the very south of the Margaret River region, the wine is a classic, complex and unique example of Margaret River’s signature regional Cabernet Sauvignon. The nose opens with bramble berries, black currant and a violet lift. Combining with hints of choc mint menthol and subtle mocha oak. Completed by a unique mineral sea spray and nori element from the Southern Ocean. Brimming with juicy redcurrants, plums and rich chocolate. The plate is extremely precise, poised and medium bodied; reflecting the unique Suckfizzle site. The tannins are ultra-fine with driving acidity creating great length and freshness. Seductively rich on the palate, flavours of dark chocolate and plums integrate with supple, focused tannin and and impressive length. European in style, with savoury characters, and wonderful mouth-feel. Dark Side of the Moon Shiraz shows deep forest berry fruit characters complemented by spicy, almost chocolatey oak. The wine is finely structured, quite tight in youth. With time all those forward primary fruit flavours will round out to fill the palate. A pretty and remarkably delicate wine.